Starting a blog is obviously quite easy but it is equally difficult to maintain it efficiently. In order to carve out a niche on this vast online platform it is quite a necessity to publish regular blogs that would help your customers to get educated about your product. There are various things that one needs to keep in mind in order to ensure a fresh blog that would help your customers. In this article we will discuss the top 4 mistakes that one should avoid to make it effective. There is nothing as damaging to your reputation as posting stuffs that are copied from somewhere else. The most important thing that one needs to keep in mind is that the articles should have the essence of freshness and creativity. Merely copying it from some other place or plagiarising the idea would make your site lose its reputation. Moreover Google Robots are adept in recognising duplicate contents. If your blog is marked as a spam then that will certainly damage your online presence and take its toll on your ROI. In this utterly competitive market even the smallest of mistakes might make your online reputation go haywire. Make sure that you are not inconsistent while blogging. No matter how good blogs you write, you should ensure consistency in order to get the best results. Those who follow your blogs will be waiting for your blogs as they would like to know more on the topics that you write on. If you lack consistency then you will start losing out on the number of readers that you have. There are some who post 2-4 blogs a day. However, you should make sure that no matter what your frequency is, you should follow that. If you post 10 blogs a week then you should stick to that. Ignoring comments is another mistake that you should try to avoid. Your readers can ask you various things about the blog. And it is your duty to make sure that all such queries are answered properly. An interactive session with your customers will certainly educate them about the things that you are discussing on. No matter what the comments are, you need to make sure that you handle them tactfully. If there is a positive feedback then acknowledge it and on the other hand if there is a negative feedback discuss it and let your views in. That will make you more transparent. Over optimization is another common mistake that bloggers make. 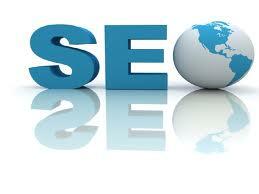 Search engine optimization is certainly a necessity but overdoing it will have adverse effects. That will bar it from featuring on the search engines. These are some of the important things that you need to keep in mind in order to see a marked difference in number of viewership. Author’s bio – Alisa Martin is a well known author writing articles on SEO Company Melbourne. She suggests her readers to visit tyranny.com.au for further information.